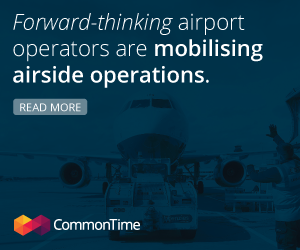 The application was launched at Gatwick in early 2016 – creating a new industry trend – and gives the entire workforce that currently use it easy access to real time information about airport issues on their smart phone. Gatwick staff make up 25% of the current 10,000 users at the airport, with the remaining staff working for other entities on the airport campus including airlines, ground handlers, retailers, tenants, police and immigration services. Staff have downloaded the “Community app” on their personal smartphones. 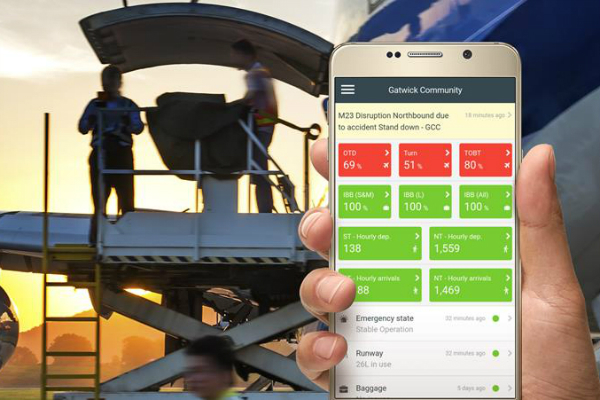 The app has reportedly fostered an airport-wide data sharing culture and created a sense of competition at the large airport – with airlines and baggage handlers now keen to top the on-time-departure or bag delivery performance league – all of which improves the service Gatwick’s passengers receive. Information communicated via the application include departure or bag delivery performance data, hourly passenger departure and arrival numbers, aircraft turn milestones, airport contacts, fault reporting facility, localised airport weather information and public transport updates. Information alerts can also be tailored so only information relevant to job are received. 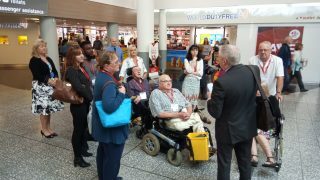 Gatwick devised the “Community app” concept in partnership with AirportLabs. It was designed and built as a digital platform which can be used by multiple airports. AirportLabs now offer this as a fully managed service to any airport in the world. The “Community app” was launched at Gatwick in early 2016 and has since been rolled out at 12 other airports across the world, including Edinburgh, Bristol and Milan Airports. Fabio Degli Esposti, Chief Information Officer, Milan Airport said: “The Airport Community app is one of the initiatives that we analyzed with great interest since the early days of its availability on the market. Soon after, we decided to adopt it for the great opportunities and potential benefits that the App could bring to our internal operative processes and activities”. David Gammie, IT Director, Edinburgh Airport, said: “The Community app has quickly become the primary channel for cross campus communication. Edinburgh has then introduced additional functionality such as fault reporting and real-time security queue times on the Community app, which is now available for other airports. 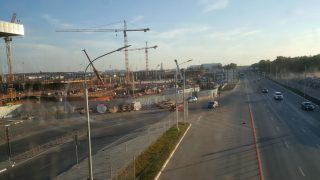 This illustrates the value of collaboration among airports on multi-airport platforms”. Gatwick’s “Community app” has been shortlisted for three Lloyds Bank National Business Awards, with the results announced on 14 November 2017: the Innovations Award, the Business Enabler Award, and the Customer Focus award. It has also been shortlisted for four Digital Impact Awards, with the results announced on 17 October 2017: Best Corporate app, Best Use of Mobile and Portable Devices, Best Use of Digital by Sector – transport and logistics, and Best Community Development.